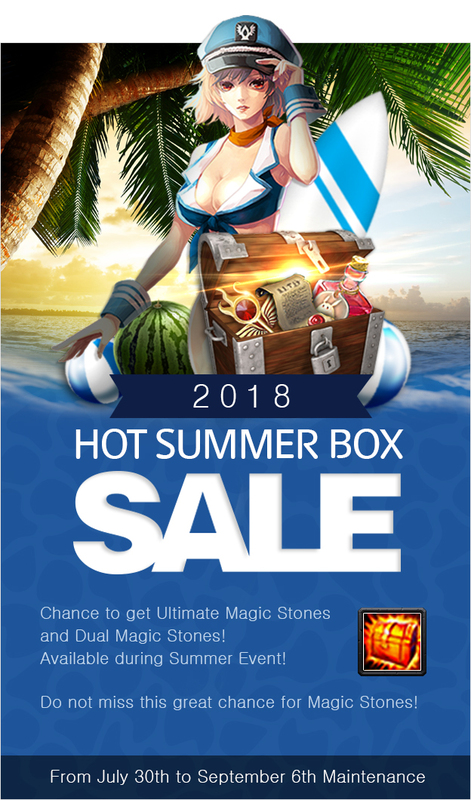 Purchase limited Hot Summer Box, and get “Dual Magic Stone” and “Ultimate Magic Stone! - You can randomly obtain 1 item when using Hot Summer Box. 2) Event details could be changed due to internal affairs. Any changes made will be notified in a separate announcement.